Hey type kids! 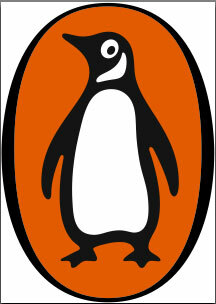 Please download the Penguin EPS logo and use on your covers. Consistent placement on all three covers and/or spines or back. This logo is in color, but can be converted to black in white when you open it in illustrator. Hi there, i want to comment here that I like this logo design and thanks for enabling us to download it. Very cute. I like the orange color. Look awesome i also like to download it original file..Brilliant effort use to design this one. Hey! We are having a graphic design show! Workroom Remodel! We are just like an HGTV show! Graphic Design History! The rest of your Study Questions! rc helicopter reviews on Study in Italy with Jamie Mixon and Greg Watson this summer! pcb on Graphic Design History! The rest of your Study Questions! Online Diploma on Command Save! Payday loans on Command Save! Sam Borkson: Friends with You Have Powers! As MSU design students, you must subscribe to one design magazine. As MSU design students, you have to subscribe to one design magazine. Beautiful design examples of mixed media, illustration, letterpress, screenprinting and collage. Hands ON! This is coming out soon! I pre-ordered it so you guys can get a sneak peek, but it looks like it might be something you would want to own. I just purchased this book so it is available for viewing! Coming out in August! I am in this book people!